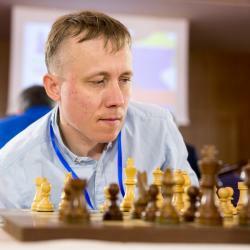 Ruslan Ponomariov was the quickest rising chess prodigy in history. Breaking the record at the time by becoming a Grandmaster at the young age of 14, his records didn’t stop there. When he was only 18 years old, he became the youngest World Champion in history, defeating Vassily Ivanchuk in the process. Since then, he has continued to be an elite-caliber player who has racked up the tournament victories over the years. Ruslan Ponomariov was born in Ukraine. When he was 10 years old he came in third place in the World Under-12 Championship. He followed this up with winning the European Under-18 Championship when he was only 12 years old and then won the World Under-18 Championship the next year. At the time he was awarded the Grandmaster title in 1998 at the age of 14, he also broke the record for the youngest Grandmaster. Ponomariov has the distinguishment of also being the youngest World Champion in history. He accomplished this when he beat Vassily Ivanchuk in the 2002 World Chess Championship. Ponomariov was only 18(!) years old when he did this. He held on to this title until Rustam Kasimdzhanov won the World Championship in 2004. In the years since losing his world championship title, Ponomariov has continued to be a strong force in chess, winning multiple tournaments each year.